» Do I Need a Permit for That? » Holiday "Parade of Lights"
Harvest Lane & The Ridge at Harvest Lane - a quiet and highly desirable Arvada subdivision featuring semi-custom and custom homes built in the early to mid 1990's. Harvest Lane & The Ridge at Harvest Lane is a small community just West of 75th & Simms and is surrounded by popular Arvada neighborhoods like Double-E Ranch, Alkire Estates & the Village of Five Parks. The homes feature large traditional & contemporary two-stories along with a few sprawling ranch homes with 3-car garages & breathtaking mountain views priced from the $500,000 to the mid $700,000 price range. in Harvest Lane & The Ridge during the past 12 months? Inventory throughout the Denver area (including Arvada) is currently significantly low. The good news for sellers is this low inventory is causing the average and median sales prices to increase sharply. Without question we have a serious supply & demand issue and buyers are getting somewhat frustrated - especially since 30-year interest rates are still hovering in the mid-to-upper 4% range. If you are thinking about selling your house, don't wait, call me today for a free market analysis to determine the true value of your house. If you're looking to move into the neighborhood, give me a call because I typically know about homes coming on the market weeks before they are listed! Interested in seeing homes already listed for sale in Harvest Lane? Residents in Harvest Lane & The Ridge have access to top-rated Jeffco schools such as Van Arsdale & Freemont Elementary; Oberon Middle; Arvada West & Ralston Valley High Schools as well as Excel Academy Charter K-8, Faith Christian Academy K-8, St Anne's K-8 and many more. We are surrounded by open space, parks, walking & bike trails, shopping & dining & spectacular mountain views! Conveniently located at the base of the foothills for easy access to the mountains, 20 minutes to downtown Denver & Boulder. Drive through the community and you'll see why it's such a great place to live, work & play! 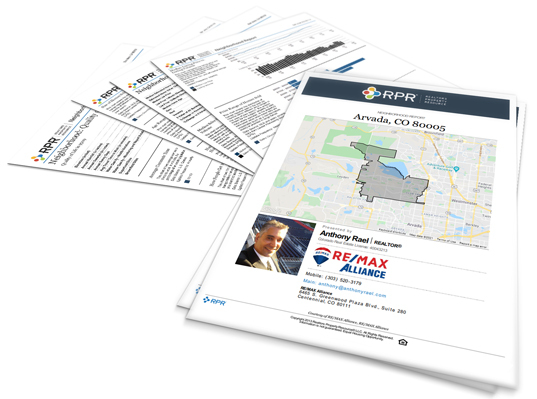 This website is brought to you by Anthony Rael - your trustworthy & professional Real Estate Agent & REALTOR®. Anthony hosts the "Annual 4th of July Parade" and is a long-time resident of Harvest Lane. He's happy to answer any questions you may have regarding the current real estate market. Be sure to ask about my exclusive homebuyer incentive for your kids as they "leave the nest" and venture into the world to become first-time homebuyers.